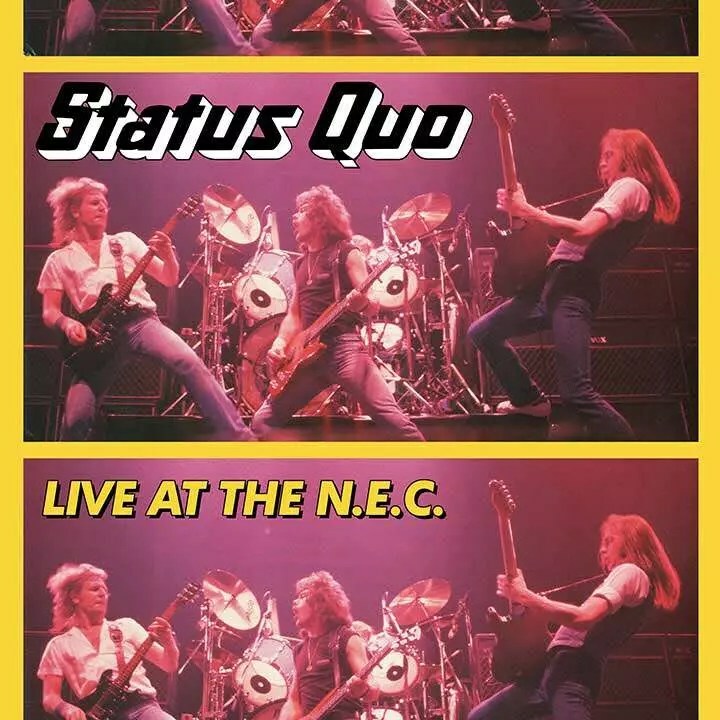 The celebrated show by Status Quo at the NEC Arena in Birmingham, England, which became one of the most talked-about gigs in their history, is to be released in its entirety for the first time. The new version will be out on Mercury/USM on 20 October. The show took place on 14 May 1982, in aid of the Prince’s Trust and in front of Prince Charles and other members of the royal family. It was originally released in two parts, with an album on Vertigo and a broadcast by the BBC. The two parts now come together in 3LP and 2CD formats. Quo’s performance that night came just after they had entered the UK charts at No. 1 with their studio album of the time, 1982, and had just been in the top ten with the single ‘Dear John.’ The set list featured hits such as ‘Caroline,’ ‘Roll Over Lay Down’ and ‘Rockin’ All Over The World’ and many of their best-loved album tracks,. These included an epic, 23-minute version of ‘Forty-Five Hundred Times,’ the Francis Rossi-Rick Parfitt song that first appeared on Quo’s sixth studio album Hello! in 1973. With remastering for CD and vinyl by Andy Pearce, Live At The NEC will feature new liner notes by journalist Dave Ling, who has conducted new interviews with band members. The notes are part of a 28-page booklet full of memorabilia.